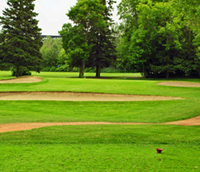 Search for and reserve tee times online for Victoria, Riverside, and Rundle Municipal Golf Courses. Register for an account to search, reserve, and update your tee times. Advance reservations start at 7am, 4 days in advance of the date of play. Same day reservations or changes to an existing booking are available up until 2 hours before your selected tee time. Check-in at the Pro Shop 20 minutes before your tee time. We will email you confirmation of your reservation. Call 311 if you do not receive confirmation.